"Bird" 16.1 hand,Chestnut, ASB Gelding. Major stakes winner throughout the Southeast in Open 5 Gaited. 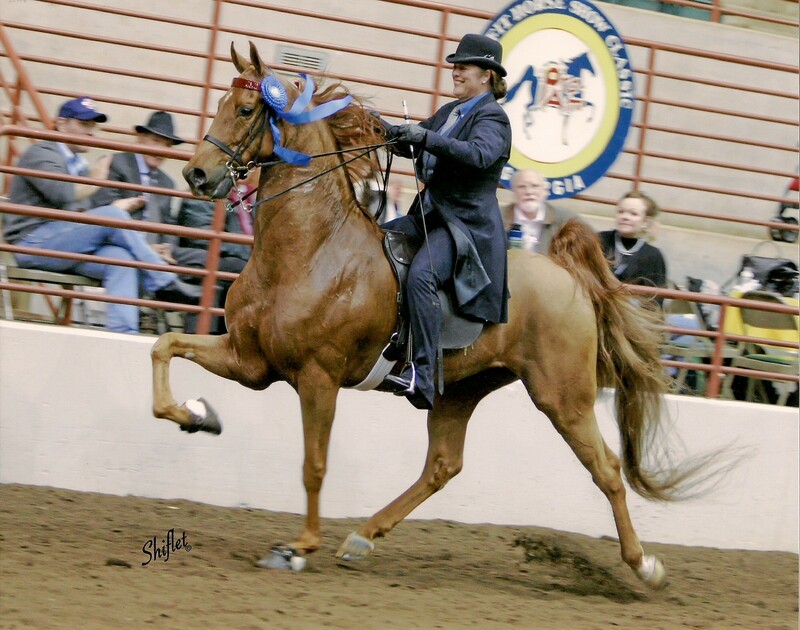 Multiple time American Saddlebred Horse Association of GA Highpoint Ch, ASHA Regional Ch, USEF Region 10 Champion, Saddle Horse Report Top 10. Let him win for your Amateur or Jr. Exhibitor.